This map shows the original routing for the Lincoln Highway in New Jersey and the locations of the photos for this state. 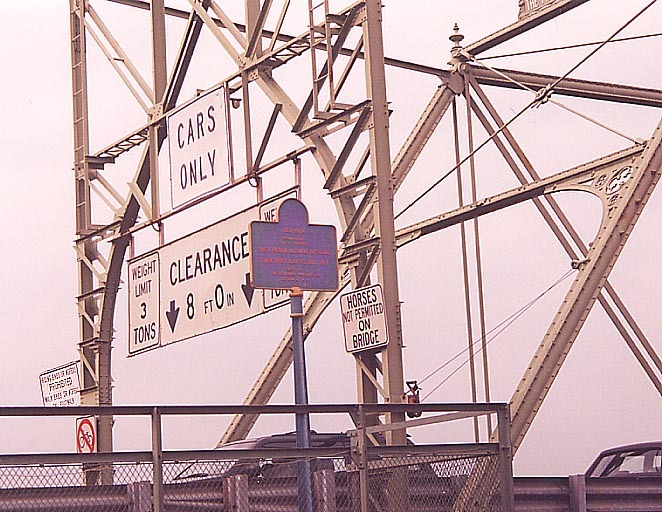 The Calhoun Street Bridge This was the original crossing point for the Lincoln highway over the Delaware River between Morrisville and Trenton (from 1913 to 1915) The LH was later moved south to the "Trenton Makes..." bridge because the LHA wanted no tolls along their highway. 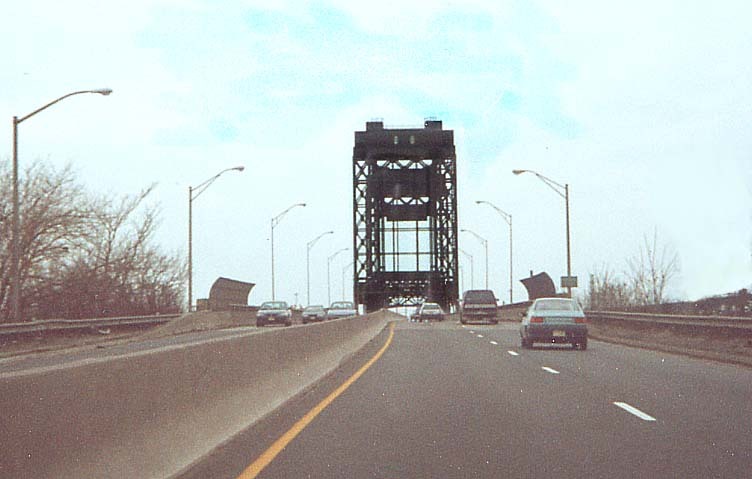 The Calhoun St bridge's tolls were not removed prior till 1980. 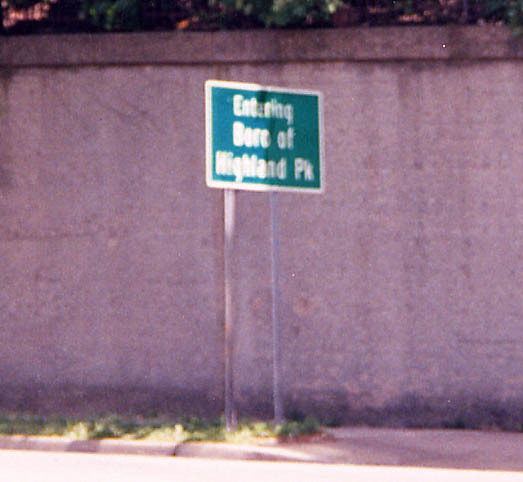 Of note here is the placard mentioning the state division along the LH, and the directions to other LH locations. The tenant for the Calhoun St. bridge went out of his way to prevent me from getting a picture of the front of the placard. So this will have to suffice. Where PA has boroughs, New Jersey has boros. Same word, different spellings? 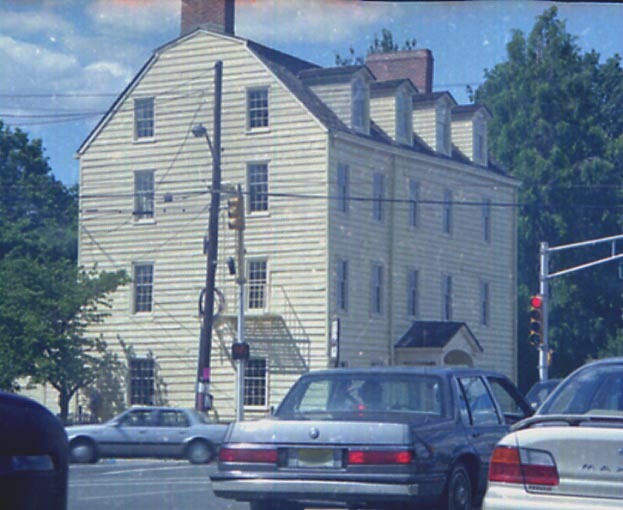 Along NJ 27 (Original LH routing). 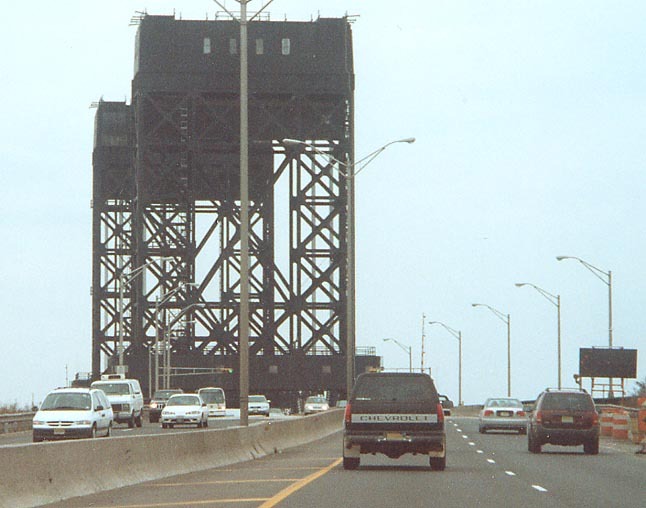 Actually, New Jersey has boroughs as well, they are just usually abbreviated as "boros" in informal contexts. Highland Park has a Lincoln Highway Control Point with a sign, and its public library hosts regularly-scheduled Lincoln Highway Association meetings. 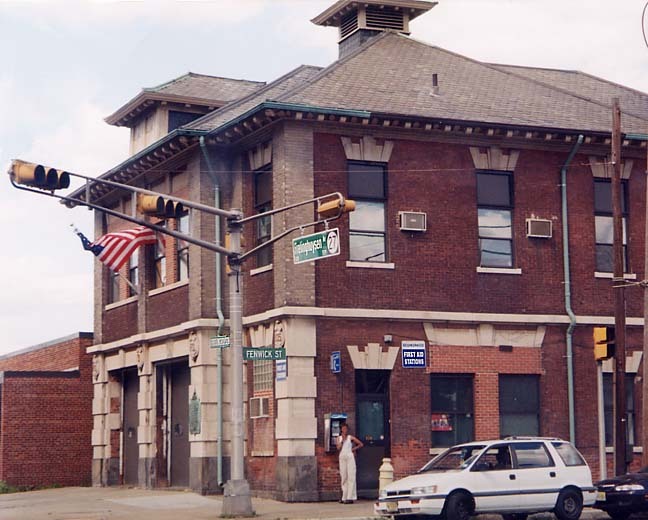 An old building, possibly a former fire house, along NJ 27, just north of Haynes Avenue in Newark. Here's a couple more shots of NYC, without the streetsigns and lights in the way, I took from the same location. Technically not part of the Lincoln Highway, The Lincoln Tunnel is just south of the original port for the ferry taking traffic to Jersey for the LH. 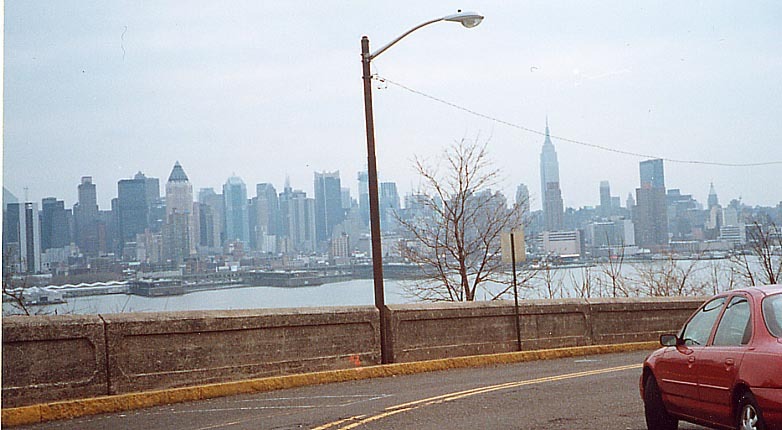 The Lincoln Tunnel was not named for the Lincoln Highway, but in light of the George Washington Bridge upstream on the Hudson River. 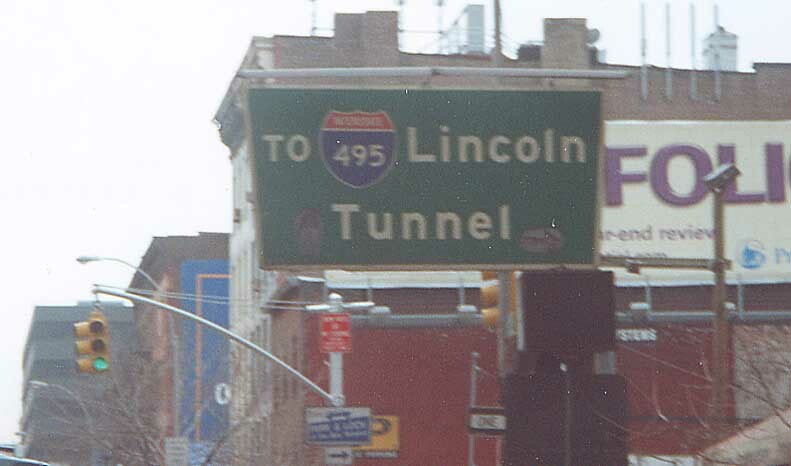 When the Lincoln Highway route eventually shifted away from the ferry, it was actually rerouted through the Holland Tunnel, not the Lincoln Tunnel. Thanks to Ray Martin, Bill Mitchell, and Frank Curcio (plus an anonymous person who e-mailed Frank) for additional information.